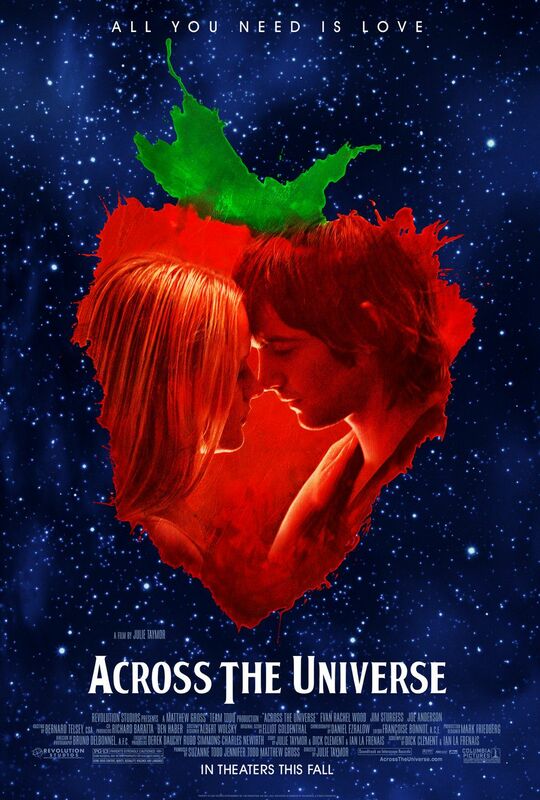 I remember being incredibly excited upon seeing the trailer for Across the Universe for the first time. Coming at a time when it looked like musicals were really and truly going to be the next big thing in Hollywood, here was a musical where I already knew I was going to love the music featured, so the movie already had me halfway. The promise of merging The Beatles’ music with a tale of two star-crossed lovers and friends getting caught up in the Sixties looked to be a promising experiment, if nothing else – some of the more visually engaging moments gave me visions of a Beatles-themed, live-action Fantasia with a narrative. While something of this nature has been attempted before, with the 1978 Peter Frampton/Bee Gees-starring Sgt. Pepper’s Lonely Hearts Club Band serving as a cautionary tale for just how badly something like this can go, Across the Universe looked to be going in the complete opposite direction with its tone, ditching the ridiculous fantasy world and the campiness by taking its era-spanning narrative seriously and The Beatles’ music with respect. Reception for the film was mediocre, unfortunately, and, I quickly became a bit hesitant. Upon seeing the movie for myself, having adjusted my expectations to match reality rather than potential, I still couldn’t help but feel like the trailers I had seen had way oversold the product they were advertising. Far from being as awful as Sgt. Pepper’s, Across the Universe was no less light on story, with director/writer Julie Taymor being far too focused on making sure her characters, whose names are cherry-picked references to various Beatles songs, hit upon every possible important event that happened in the Sixties and cramming in as many musical numbers in at the sacrifice of emotional and narrative authenticity and better pacing. The story centers primarily upon Jude, a mop-topped miner from Liverpool who goes to America to meet his estranged American father, only to befriend Maxwell and his sister, Lucy in the process. 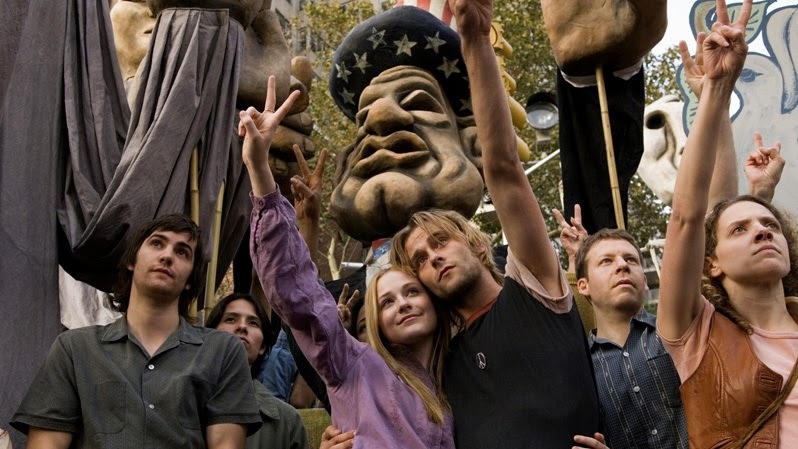 The trio wind up in New York, against Maxwell and Lucy’s parents’ wishes, determined to find themselves, ultimately getting caught up in the hippy culture, embracing the free love, free use of drugs, and the various peace movements, which becomes all the more personal when Max is drafted into service. The rest of the film concerns whether or not the events of the world will ultimately stand in the way of Jude and Lucy finding love together and whether or not Max will ever make it back home alive. 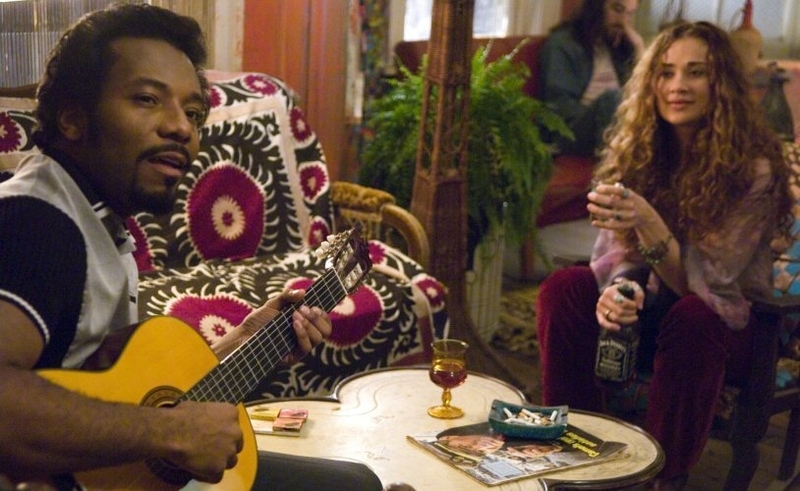 Peripheral characters include a troubled runaway struggling with her sexuality named Prudence, a Janis Joplin stand-in named Sadie, and her guitar-playing new beau and Jimi Hendrix stand-in, Jojo. These last three characters really do feel peripheral to the main narrative. Sadie and Jojo, especially, feel expendable, serving only as mere catalysts for more musical numbers, with Jojo’s barely examined connection to the civil rights movement making him no less pointless . With some reworking, these two distracting characters probably could have been folded into the Prudence character, giving her a lot more to do than just pop up randomly here and there to remind us she still exists and, yes, she’s been fine this whole time, after all, which isn’t that interesting when everyone else is going through hell. Yes, despite its initially simple premise, the filmmakers’ ambition just results in a musical that covers way too much ground and far too many songs in too short a runtime – making the studio’s rebuffed insistence that Taymor make the film even shorter all the more laughable. The film was regrettably also a lot lighter on the visual spectacle side of things, too, with some of the film’s more visually experimental musical numbers taking place at the center of the film, attempting to mirror The Beatles’ musical career, but resulting in a film that feels aesthetically inconsistent. Choreography is loose and weak feeling in the more elaborate numbers, and the visual effects are at times just a little bland – Bono’s anachronistic-sounding cover of “I Am the Walrus” is alright as a standalone song, but his cameo appearance consists of little more than people waving and undulating about like children giving their impression of being drunk while Bono mugs his scruffy face into the camera, which is stuck in Predator vision mode in order to emphasize that they’re on acid. Eddie Izzard’s spoken-word cameo fairs a bit better, if only because it’s the most bizarre and unexpected sequences in the movie. Less visually-altered musical numbers do feel a lot more engaging and organic to the narrative, as they’re not just pandering to those who just naturally expect psychedelia from a Beatles movie. Being less abstract in subject, these sequences actually move the story and characters along better, too. There’s a lot of sweet joy in Jim Sturgess’ performance of “I’ve Just Seen a Face” after he meets Lucy for the first time, and the raucous rendition of “With a Little Help From My Friends” is one of the film’s more entertaining moments and proves that there’s still some value in the original Ringo Starr performance, even with Joe Cocker’s version standing as its superior. On the other end of the emotional spectrum, the stirring gospel arrangement of “Let It Be” is also one of the most beautiful and heartrending Beatles covers you will ever hear. In fact, if nothing else, the soundtrack is filled with very nicely performed renditions from across The Beatles’ catalog, totaling 33 musical performances and cues used in the film, many of them featuring novel reworkings of the songs, such as Joe Cocker’s version of “Come Together” and T.V. Carpio’s slower, sadder performance of “I Want to Hold Your Hand.” I actually purchased the 2-disc Best Buy-exclusive soundtrack well ahead of ever purchasing the movie, for which I waited for a more bargain bin price. The soundtrack features expanded and more studio-like versions of the songs featured in the film, including the Secret Machines’ covers of “Flying” and “Blue Jay Way.” If I were basing the movie solely upon its soundtrack, I’d give it a 4 / 5. Sadly, I’m not, and while I do sound like I’m being harsh on the movie, it’s only because I really wanted it to be more than what it ended up being. 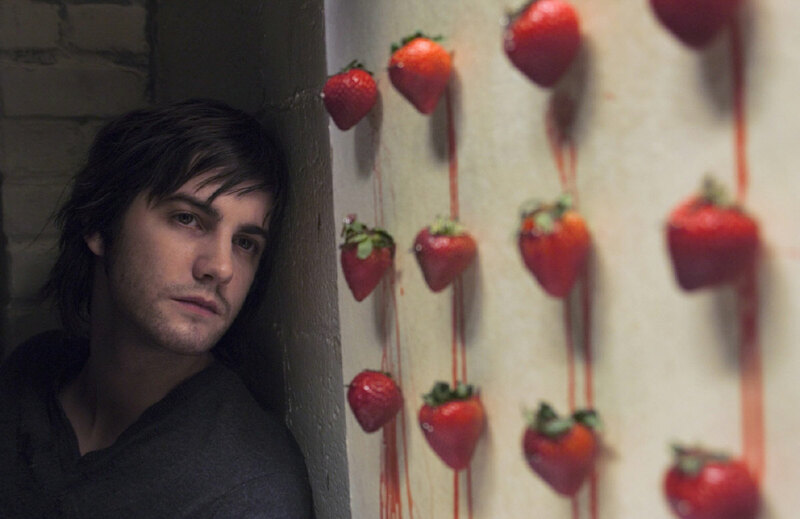 The three leads – Jim Sturgess, Evan Rachel Wood, and Joe Anderson – are very good in their unfortunately lightweight roles and have very nice singing voices, too (making the fact that Joe Anderson still has yet to be cast in a Kurt Cobain biopic that much more incomprehensible). The new covers and arrangements of Beatles songs are diverse and, for the most part, quite good. It’s just that the film, already being incredibly ambitious in concept, is frequently sloppy and shoehorns in way too many references in the name of appeasing fans and Baby Boomers. (No points for guessing where the film’s ending takes place, you guys.) I admire the movie, in spite of its issues, though. Across the Universe is not a mere cashing in on the band’s popularity and is obviously made with love, affection, and respect for the music. It’s just unfortunate that the pressure of making the film feels like it led to Taymor overlooking some crucial flaws that needed sorting out in the final cut.